Normally, I wouldn’t give a back its own post. In this case, the back would have been another top, if I had just had a bit more fabric. I used the blocks I didn’t want to use on the front in the back and I am pretty pleased with how it came out. The photo isn’t great as the back is fairly huge and doesn’t fit on my design wall. I took this quilt over to Colleen yesterday and she will quilt it. This means another UFO is well on its way to being finished. 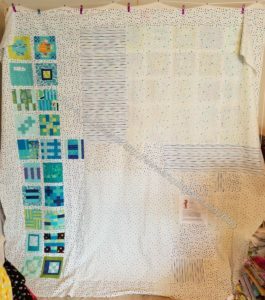 I finally finished the City Sampler top. I have the binding dome as well, but the back is still in progress. No worries except time as I want to have at least two tops finished before I head to Colleen’s. I didn’t use all of the blocks. I ended up deciding not fix the ones that would be a pain after I realized I couldn’t find all of the fabric. I did fix a number of them. The ones that didn’t make the cut will go on the back. My last update on this project feels like an eternity ago. It was really just in December, though as time flies by, it feels like an eternity. 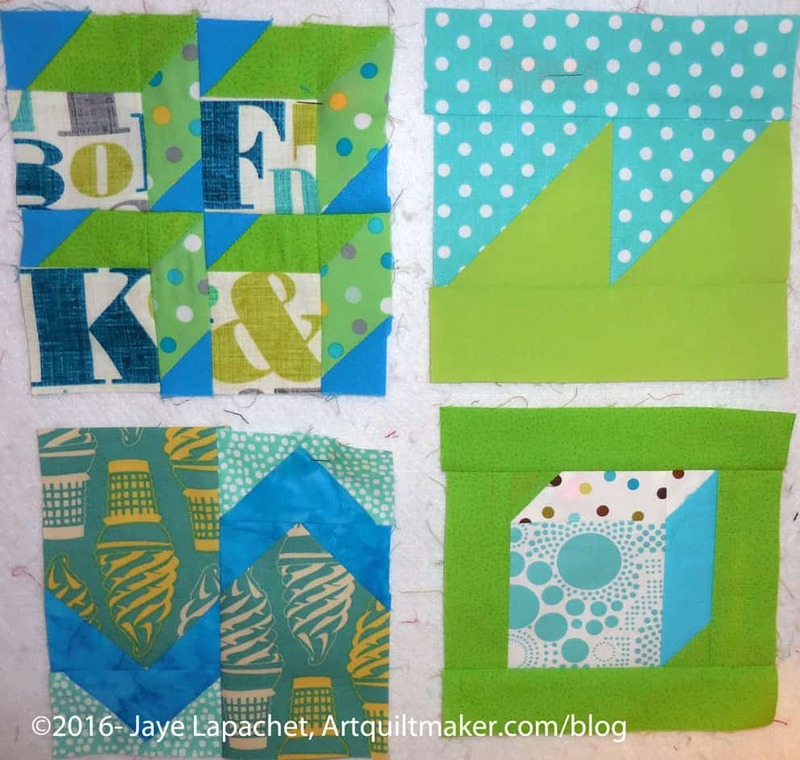 As mentioned briefly, I spent most of the CQFA Retreat working on City Sampler blocks. I was determined to make some serious progress on these blocks. I am pleased to say that I did make progress. I have completed all blocks. The next step is sashing and setting. I was having a lot of trouble with my seam allowance so you can see some of the blocks look a little off. I may rip out and remake a few, but I will mostly allow the sashing to make up the difference. I felt like such an amateur fighting with my machine. I put 42 up on the wall to see what they look like. I’ll definitely need to rearrange them, but I am pleased with the overall look and cohesiveness. I made more blocks. It took me forever to get these posted. 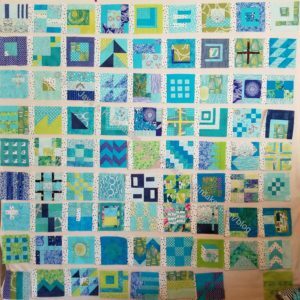 I was feeling like I wasn’t going to make any progress without seeing the #100blocks100days hashtag photos on Instagram. Seeing those photos was a real inspiration even though I wasn’t (and didn’t plan on) keeping up. I was only up to around 50 by the time they finished during the week of Thanksgiving. 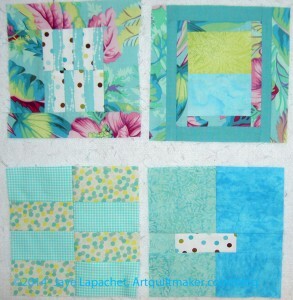 I want to finish these blocks, make a quilt and move on. So, at Craft Night, I cut 11 more blocks. That was about all I had time to do, but it felt good. I now have up to 70 either sewn or cut. I wasn’t very happy with a couple of the blocks from the last group of blocks, but I am continuing to persevere and am much happier with the latest batch. It is working for me to use these blocks as leaders and enders while I piece The Peacock. They require a lot more thought than simple piecing of two squares together leaders and enders, so it is harder to think of them as rote sewing. Still, I am getting these blocks done. I made it to Block n.53 by last Sunday and that block was half done by the time the weekend ended. This means I am more than halfway finished with the set of blocks. 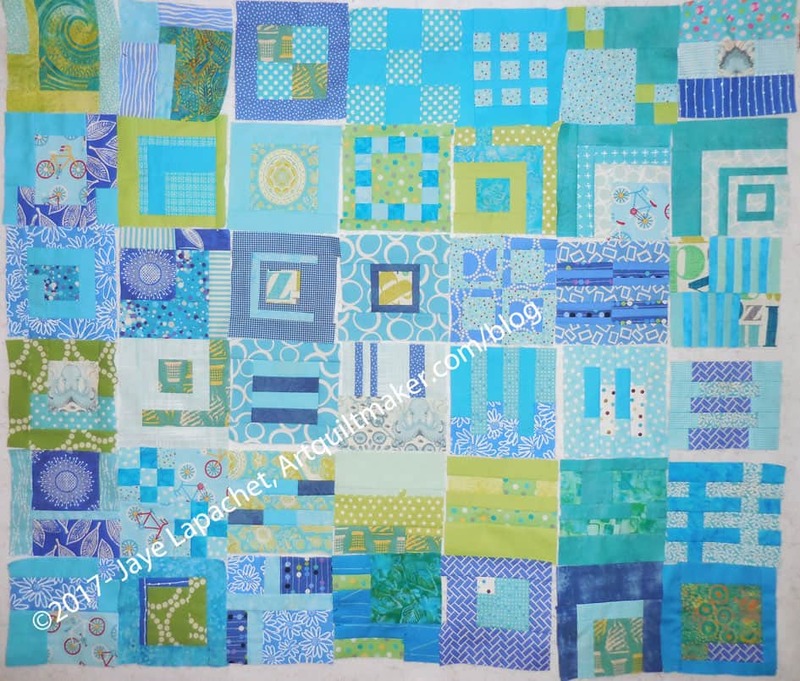 All of the 100 blocks in 100 days piecers are nearing the end, which will mean my inspiration goes away. Still, I am taking advantage of it while I can. 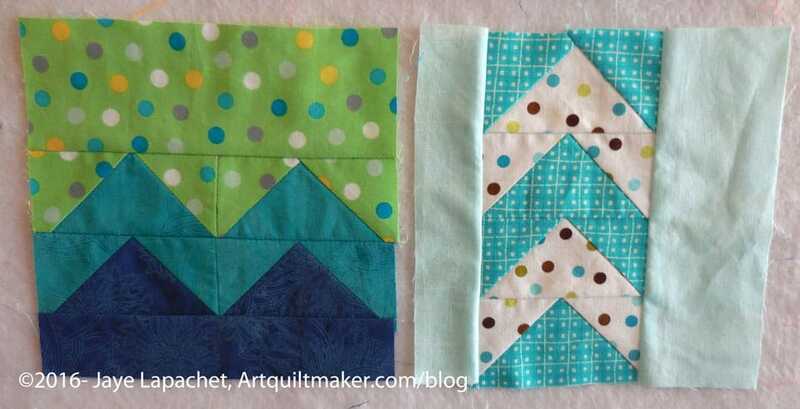 I am making the blocks the way Tula suggestions, which is a problem for me regarding triangles. My machine is eating corners of the triangles. Fortunately, after n.55, I have some blocks with, what Tula calls, stripes. After a quick glance through the rest of the book, it appears that most of the rest of the blocks consist of squares and rectangles. Hallelujah! The triangles do look nice on some of the blocks; it is just the making of them that is driving me crazy. I never thought of buying a single needle plate (think of all the needles I will break! ), but Tula’s method of making the triangles might drive me to it. 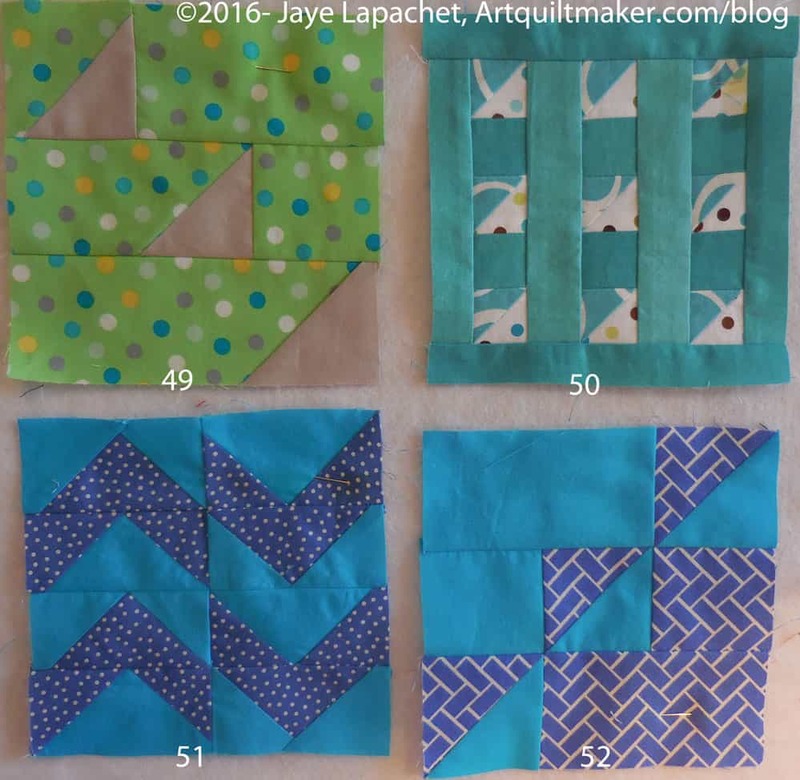 As soon as I finish the Peacock top, I will put these blocks up on the design wall and take a look at how they look together. 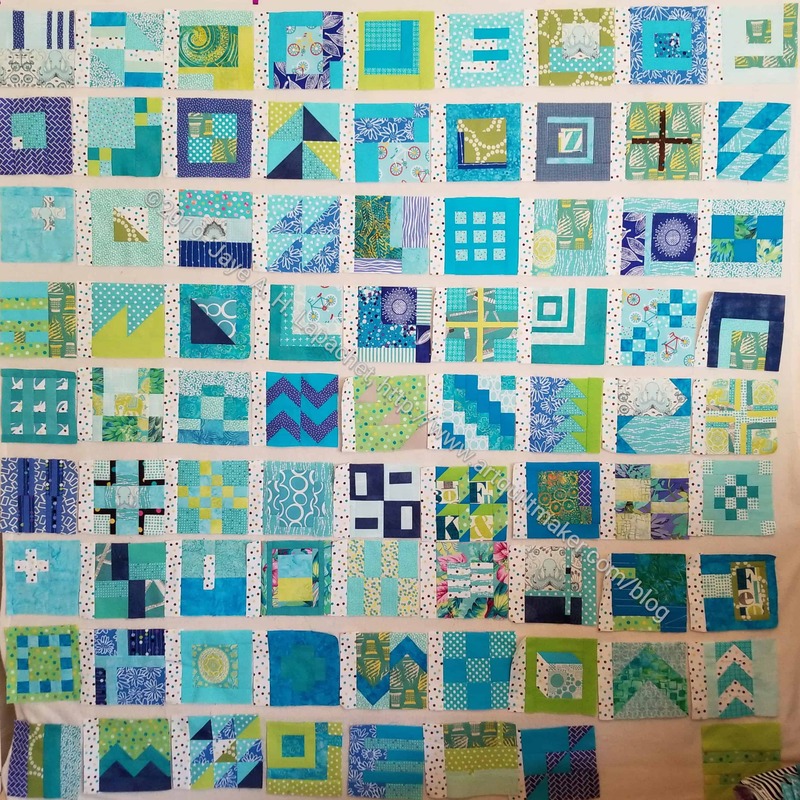 I am out of cut white squares for charity blocks, so I used pieces for the City Sampler blocks as leaders and enders while I was sewing the Peacock together this past weekend. 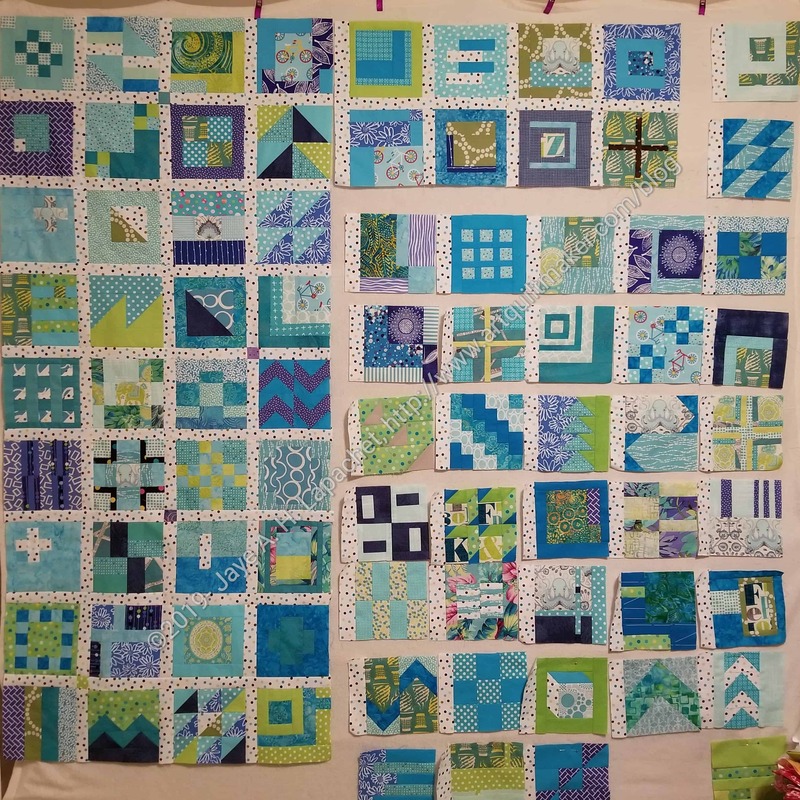 I was able to finish a total of 6 blocks, which still makes me under 50 done, but progress is progress. 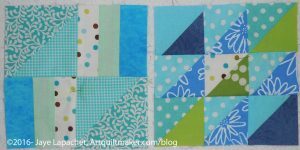 I am still on the triangle blocks and my machine really likes eating the corners when I use the method Tula Pink suggests. 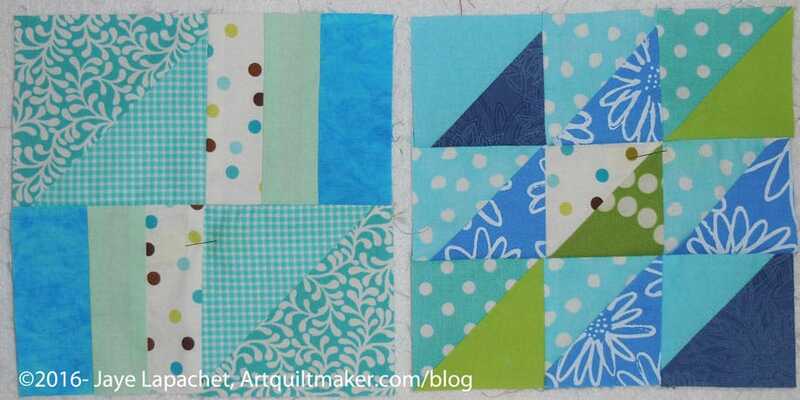 I was grumpy making these blocks and ordered more Northcott charm packs to use for the donation blocks. 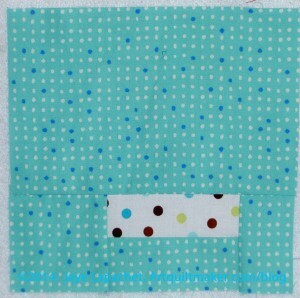 I added a few new fabrics from the group I recently washed to spice things up. They are all in the blue-green range, so they will go. I know I said before that I had too many, but clearly now I don’t care. I don’t have a lot of fabrics in my group that are good for fussy cutting, so I did the best I could. I am pleased with the way the ice cream block came out. Of the above blocks, I really only like the one in the upper right hand corner. 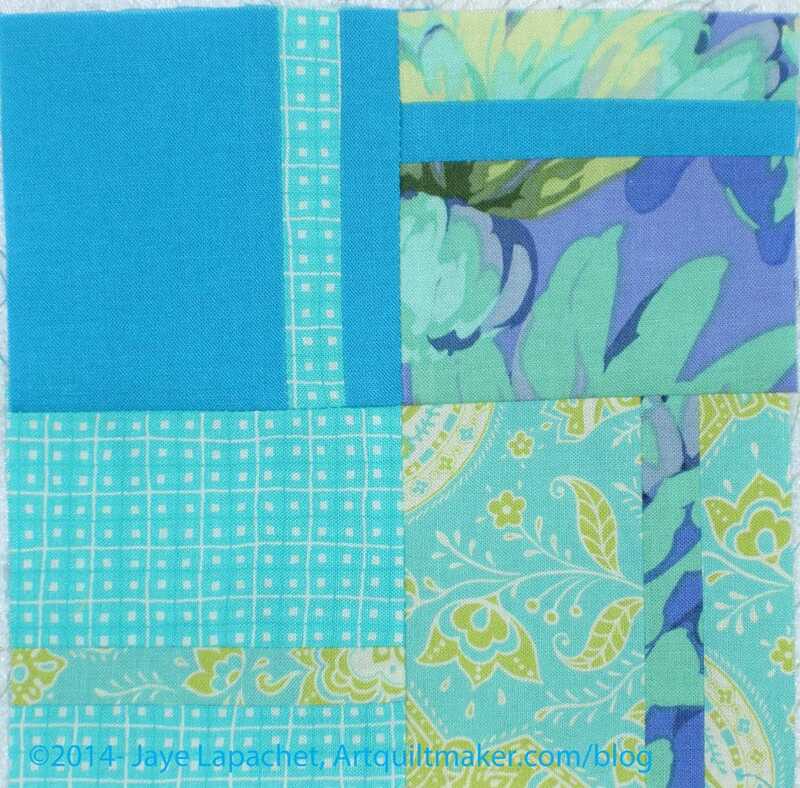 I like of the fabrics in all of the blocks, but don’t much like the block designs and not just because my machine ate the corners. I particularly dislike the one in the upper left hand corner. It looks like baby blocks and I don’t think it came out well. The piecing is really wobbly due to the above referenced machine hunger and because of the many small pieces. I may redo as suggested by some on Instagram, but it will probably just blend in by the time I get all of the other blocks made. 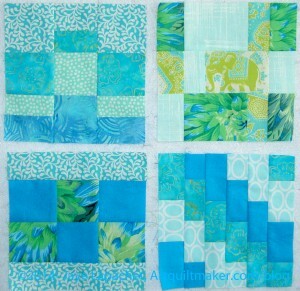 I do like the two I made yesterday and think that simple is better for the small size of these blocks. I am really looking at the one on the left and thinking about making it super big – bed sized, in fact for one of the nephews. I have to figure out how big that would actually be. 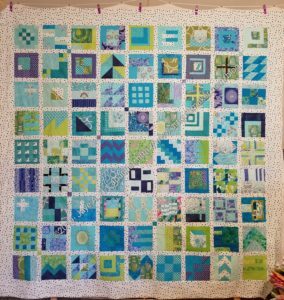 I can see the block as a quilt in, from the top down, Kona Ash, scarlett and black. I would probably do a test block first to check the color choices, then see if American Made Brands or Art Gallery has a similar solid color to Kona Ash. I have not been making blocks for this project. Not for lack of desire, but I have had too much else going on. With Christmas over and the Young Man off to visit Grandma, I hope to turn my attention to the mess that I call a workroom. 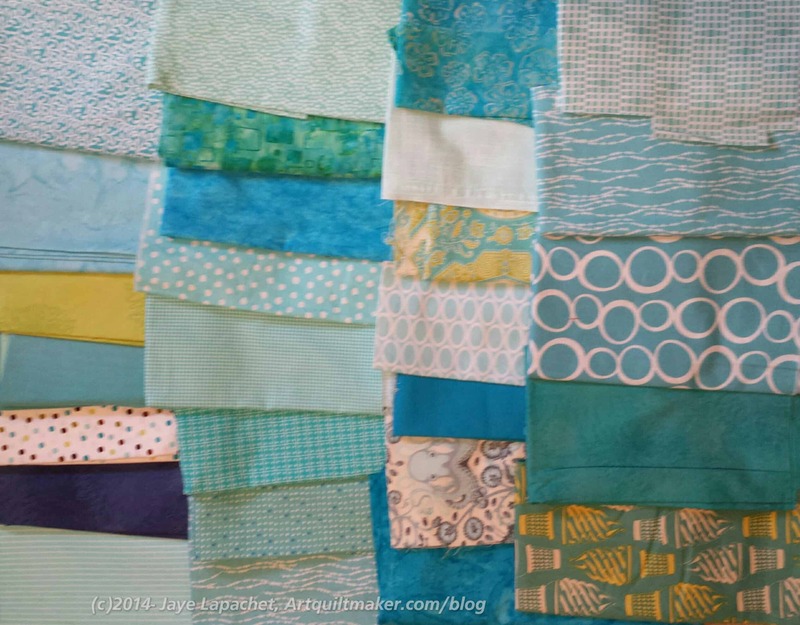 I had the Leaning Tower of Pisa of fabrics on my cutting table and it occurred to me that I had too many fabrics for the Tale of Two Cities piece. 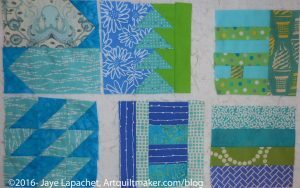 I took all the fabrics off the cutting table and laid them out then removed some, which I won’t be using for the blocks anymore. 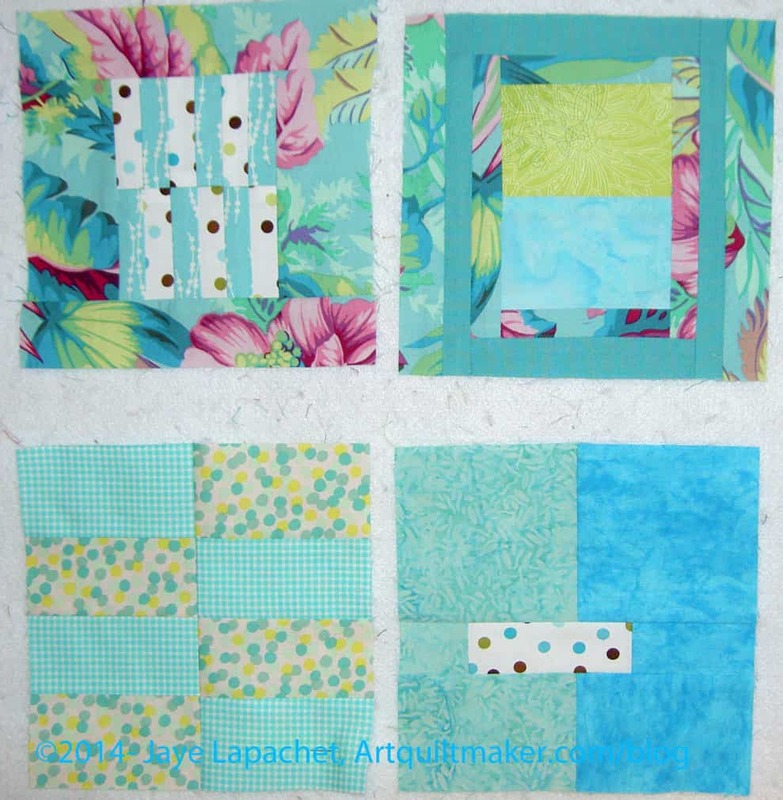 My final choices, which may still evolve as I work through the blocks are shown on the left. I may have two many lights, but as I am using my phone as a camera these days, it just may be that they look lighter than they are. I didn’t really want to keep the octopus fabric in, but it is distinctive. I have used it several times, so I didn’t feel I could leave it out without it being noticed. 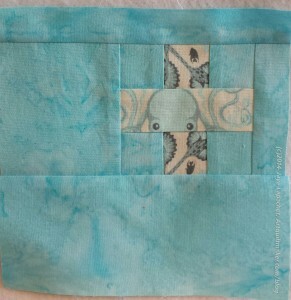 However, I may have used it enough so that I can spread blocks with it out over the quilt and the quilt will look fine. I want to get back in the saddle and make a few more of these blocks in the not too distant future. The weekend didn’t fly by as fast as I thought it would, but it was over too quickly. Who doesn’t say that? 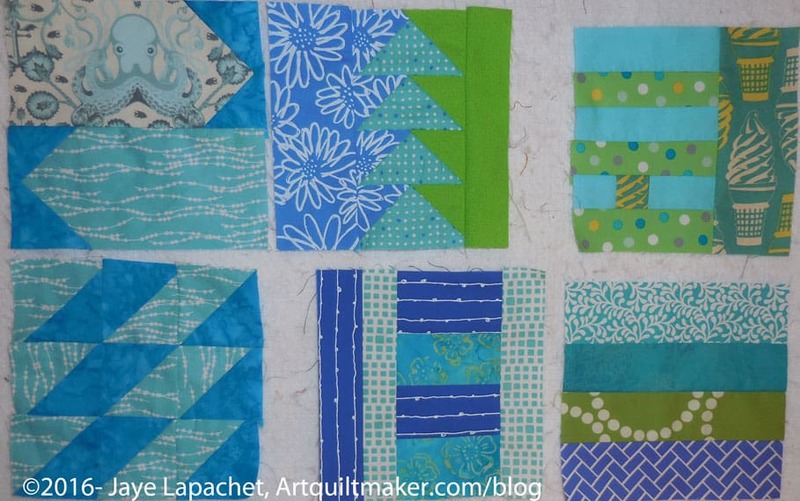 I got a lot done and not just quiltmaking. I made time for two workouts, lots of Eagle Project and College application haranguing and some TV watching. Most of what I did was make City Sampler/Tale of Two Cities blocks. They have been on my mind and the last time I worked on them was around August 9. I know this because I make a note in the book each time I make a block. I do this so I know what I have made and it comes in handy for knowing when I last worked on them. 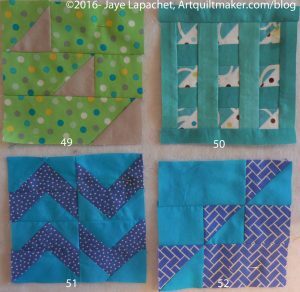 My next block is block #31, which means I have made 30 blocks. I will bring 8 of them to the meeting on Saturday to share with the Tula Pink group. In the first group of blocks, I like the lower right hand corner block best. 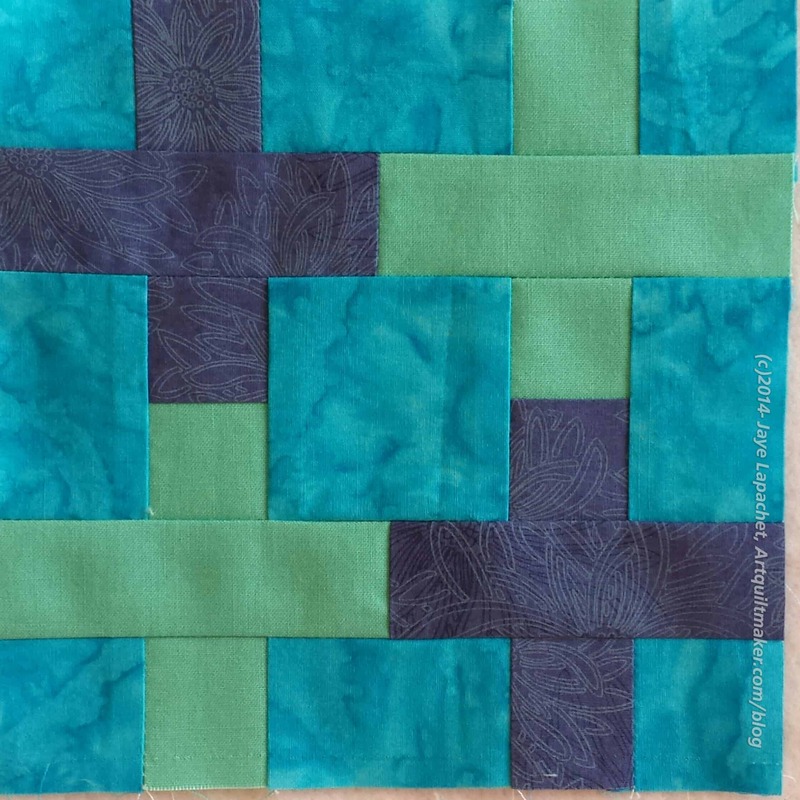 I know it looks like Bargello, which is not at all fashionable now, but I like the suggestion of additional steps that we can’t see in, for example, the upper right hand corner of the block. In the second group, I added some Philip Jacobs. 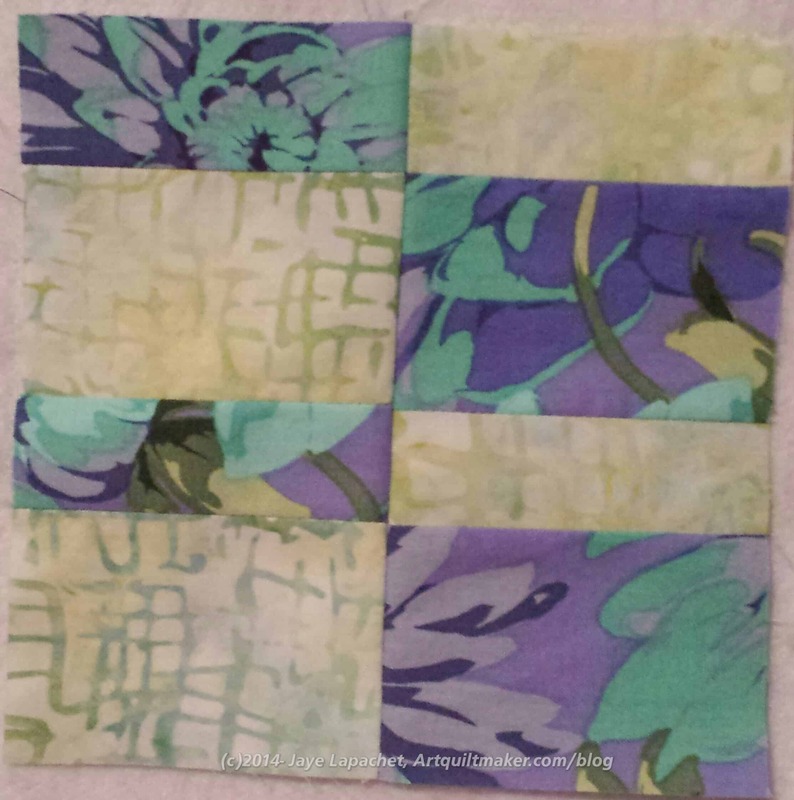 i know the fabric introduces pinks into the piece, which was not in the original plan. I may redo them, but for now I will leave them. I have to say that I like the symmetry of the left hand blocks. I really like the center of the block in the upper left hand corner. This motif is mirrored, though larger, in the bottom lefft hand block. 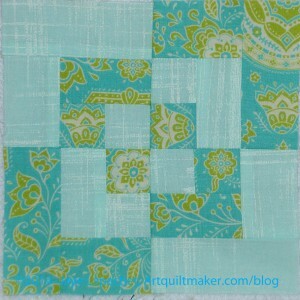 I like it as well and wonder what a whole quilt would look like? More of the stair steps? I had some trouble with the bottom right hand block. It seems easy enough, but just wouldn’t fit together. I finally figured out that I cut one of the pieces wrong. Once I had recut the piece, it worked fine. 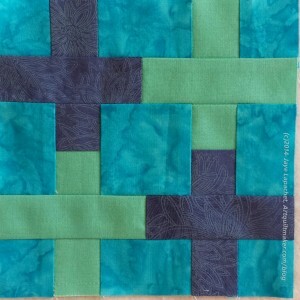 It would be interesting to see a whole quilt made from that block in black and whites with different reds in the center. I am not a fan of some of the blocks and I have to admit that one though that ran across my mind was about some of the blocks not showing up before now for a reason. I decided to expand my mind and be open to all the blocks, which is why I am making all the blocks. 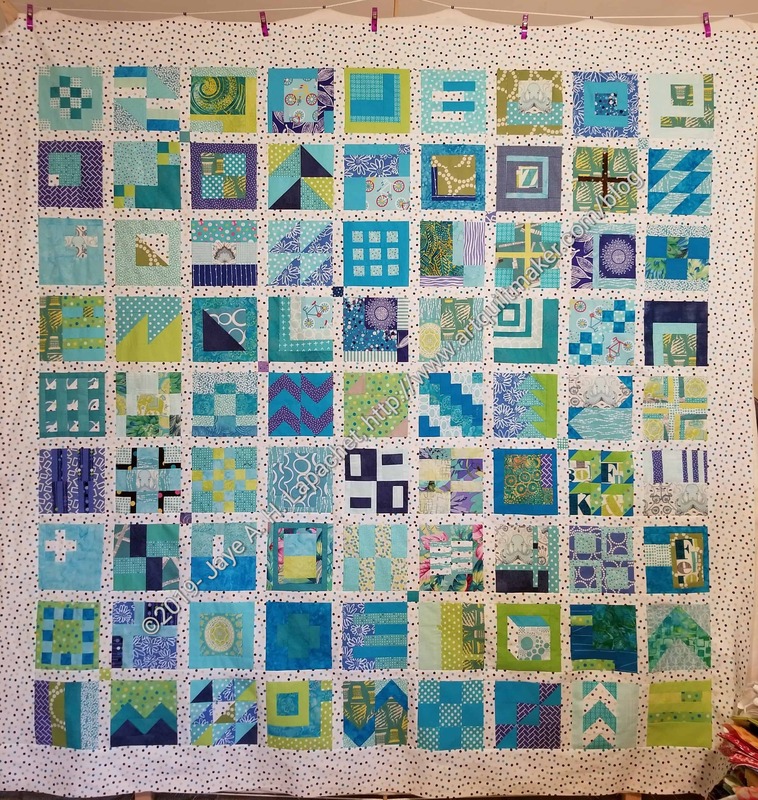 It took me forever to sew the 30 blocks. I wonder how long it will take me to sew the additional 70? I have been making more blocks; I just haven’t had a chance to post them. I only made it to 21 blocks, though I really tried to make 25 (1/4 of the total blocks) before the last meeting. At least there is no real consequences for not making my goal except for a little disappointment in not trying just a bit harder. At the meeting, we each showed the blocks we had made. I brought all of mine, though Patti, also in the small group, has seen a few of them. I have to try and remember not to show the same blocks again. Patti is doing hers in batiks and I love the look. Nicki joined us and is doing hers with scrappy fabrics choosing fabrics based on her whim of the moment. What a freeing experience! I finished the crosses and am now in the rectangles. The small group is a great idea as people have good ideas on construction. 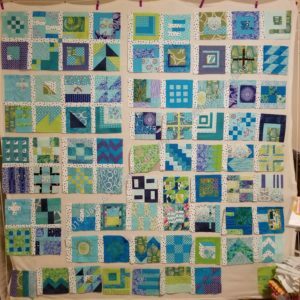 I showed one of the rail fence type blocks at the meeting and both Nicki and Patti asked if I had made it using strip sets. I was kind of shocked at myself that it hadn’t even occurred to me to use strips sets. I am not sure why, but it didn’t even occur to me use strip sets. Now that I am reminded, I will try to keep strip sets in mind. I was looking for some pink fabric and, once I was finished, I rearranged my fabric bins. Now the aqua and turquoise bin was on the stop of the stack. I have a Leaning Tower of Pisa sized stack of fabric for this piece and yet, there is always the possibility that I will need more. So, the project continues. How are you doing? I am having a hard time getting into the sewing groove. I am pretty sure it has to do with my ‘depression’ over my sewing machine. All the travel I have been doing gets me out of the groove as well. I know that you don’t notice the travel, because I continue to post, but I have been out of town all but 17 days since May 23. In order to get into the sewing groove again, I decided to work on the City Sampler/Tale of Two Cities block challenge. I spent almost the entire day last Thursday sewing. I don’t feel like I accomplished much, but I keep reminding myself that it is about the process and not the product. I am not sure if I like this block. 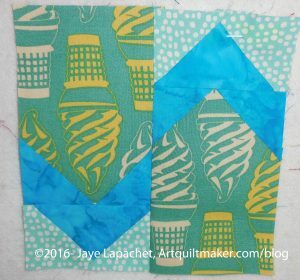 I love the fabrics, but the ice cream cones might be a bit much. Also, the brown is still a problem for me. 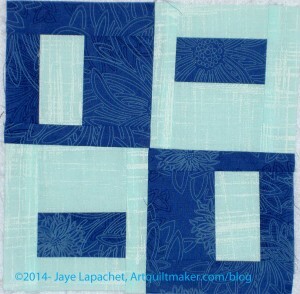 This is a similar, but different brown than the brown I used in the City Sampler block no.5. The dots are smaller and I was hoping that would help. 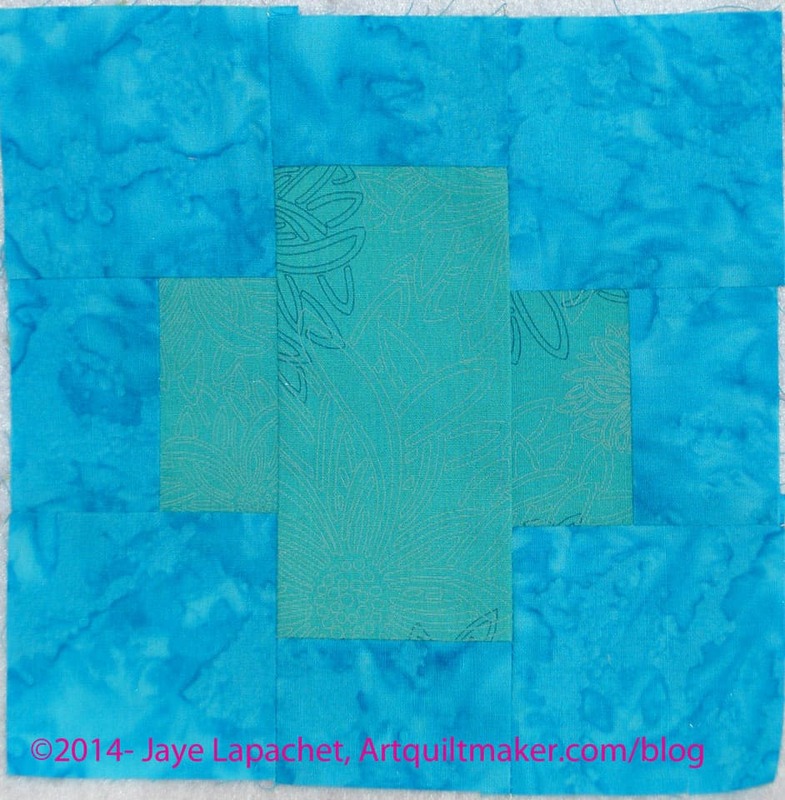 I am thinking that the brown part of the background fabric will have to stand on its own in this quilt. I don’t think I will use anymore brown. I don’t know that I will remake the blocks I have made with brown, but we will see. Next up was no.12. I used the octopus fabric again. 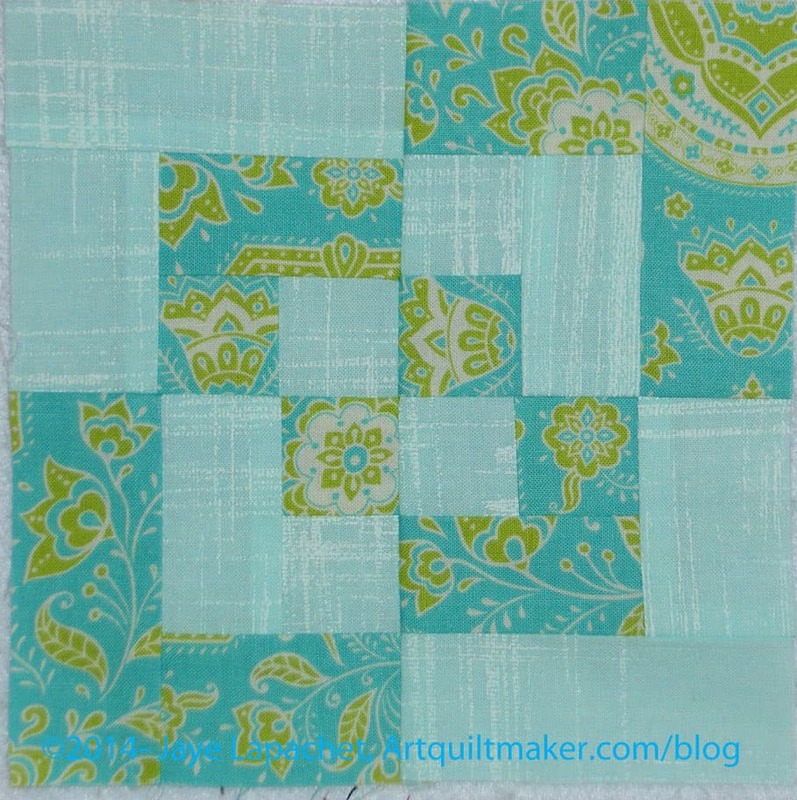 It is really fun fabric, but I don’t think it is working in this quilt. I actually forgot that I cut the plus pieces and imagined using the background fabric for the plus pieces. When I found I already cut the pieces from the octopus fabric, I put the block together. Then I decided to make it again with the background fabric and see which one I liked better. 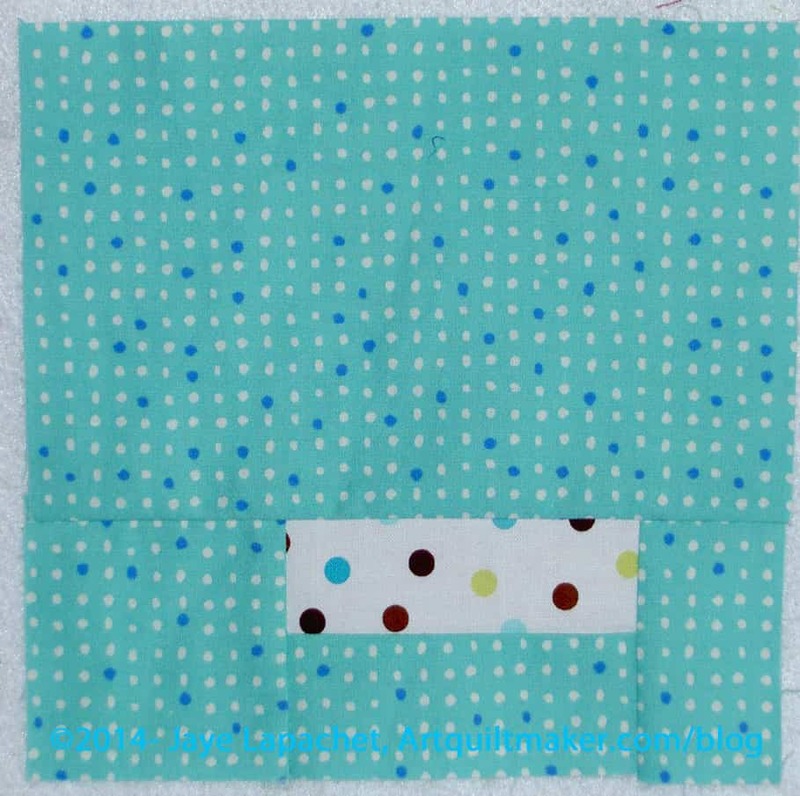 I definitely like the one with the background fabric (Remix by Ann Kelle for Robert Kaufman). 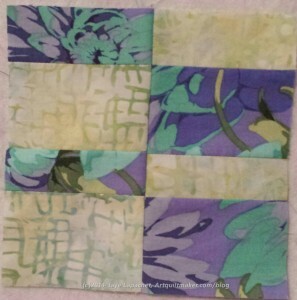 The background fabric works in this block, because it is surrounded completely with other fabrics, thus the fabric in the plus will not run into the background fabric, should I decide to surround the blocks with sashing or something. Making sure that the background I use in the blocks doesn’t bleed into the sashing or border is a design choice. I don’t mind using the background fabric in the blocks since I really like it, but I want the blocks to be crisp and distinct. You might make a different choice as you work through design choices in your work. 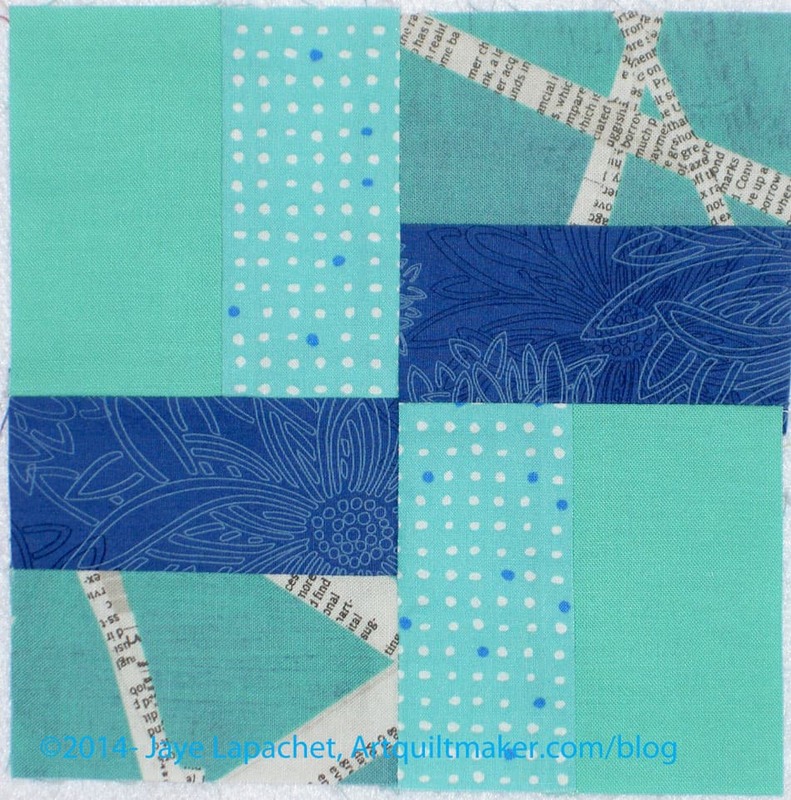 You can create a great effect by allowing one fabric to bleed into another, so don’t be afraid to try it. One member of our guild made a few of hte plus blocks and then skipped to the rectangles. She considered the pluses crosses and the motifs bugged her. 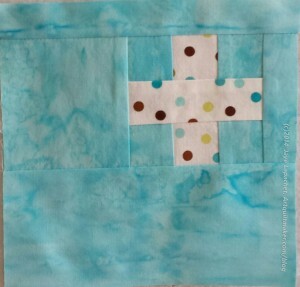 I thought about this while I was sewing the blocks and I have to say that I didn’t think of them as crosses. I began thinking of them as pluses and continue to do so. 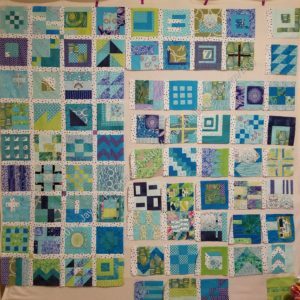 Whether you think of these blocks as crosses or pluses, I think there are enough blocks to remove a few from the running, as you prepare to put the blocks together into a top, to create a look that you really like. No.13 looks odd to me – off balance or something. 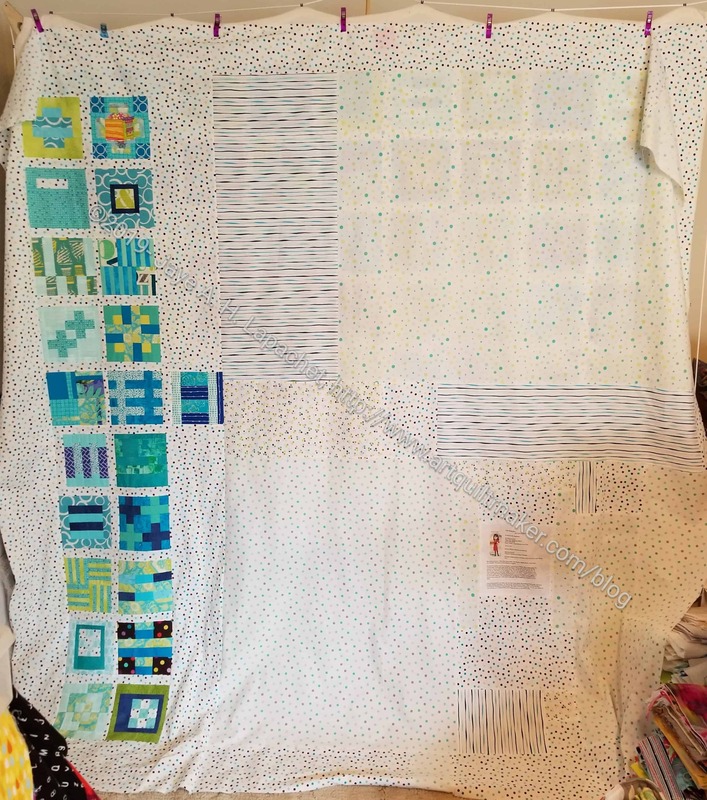 I realized that the outside still has a seam allowance so the pluses don’t looked balanced at the moment, but will once I put all the blocks together. 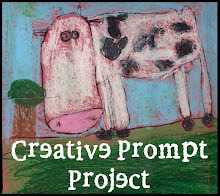 I briefly thought of posting new blocks on a weekly schedule like the Block-a-Long and the Creative Prompt. I don’t think I am quite that organized. We’ll see. For now I’ll just write posts as I sew the blocks. 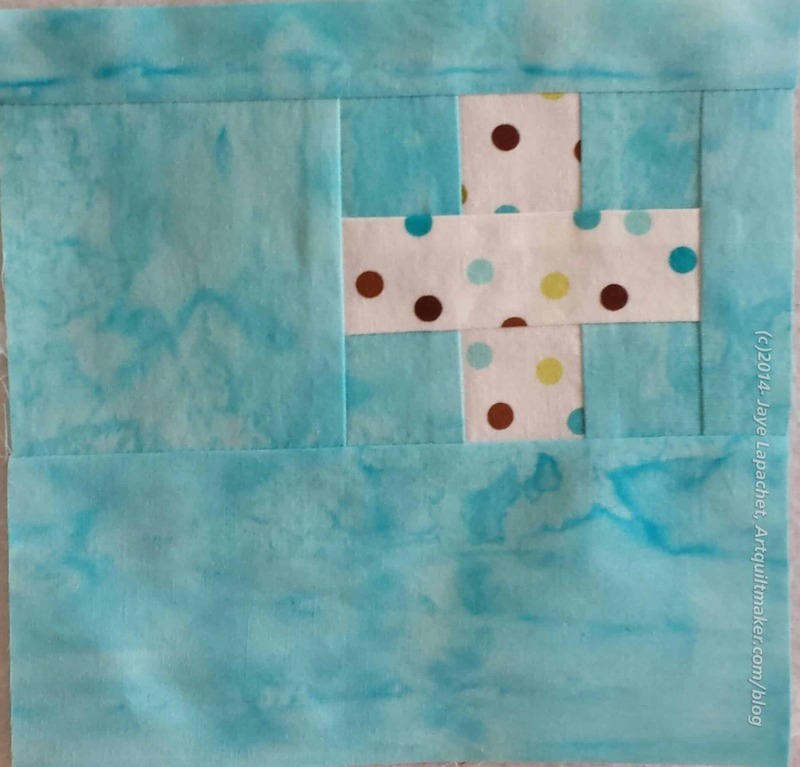 This is a fun project and it is getting me to sew. I feel a small sense of accomplishment as well. All I have to say is that Friend Julie better be working on her blocks! 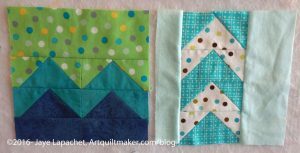 I had these two blocks mostly cut out before I went to Grand Parlor, but didn’t get around to sewing them until last weekend when, after finally getting my sewing mojo back, I worked hard at avoiding the Petrillo Bag. 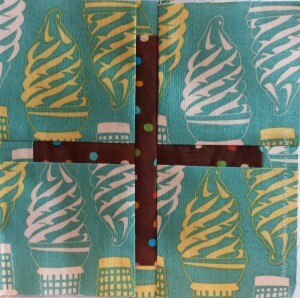 These are the next two in the crosses section (Blocks 1-15 of the City Sampler Project). No.9 doesn’t much look like a cross, but No.9 makes me think of a Maltese Cross. I, unintentionally, used pretty subtle fabrics in No.9. 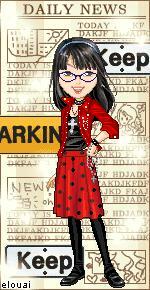 It will be one of the blocks that gives the viewer a reward if s/he comes closer. I like the way No.8 looks on point and wonder what kind of secondary design the block would make if I made a lot of them and set them right next to each other? Of course, it depends on the fabric. I imagine NOT putting background fabrics in the corner would be key, but I really can imagine how it would look. 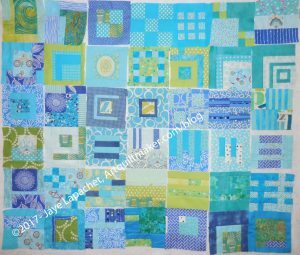 I usually cut out the fabrics in sets of two, but my design wall was crammed with Russian Rubix blocks, so I did No.10 as a single. It is also subtle and I had to take the photo a couple of times to make sure I got the piecing. 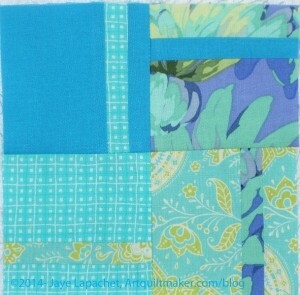 the center is Art Gallery fabric and I just love the feel and the color.